LadyBug - 4/10/2016 - Turns 4 years old this summer. Color Champion & Multiple Blue Winner! 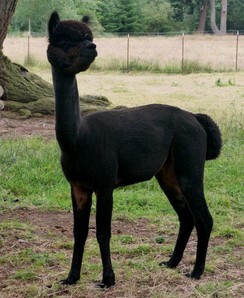 Ryder is a gorgeous True Black male that we are proud to have in our herdsire lineup! 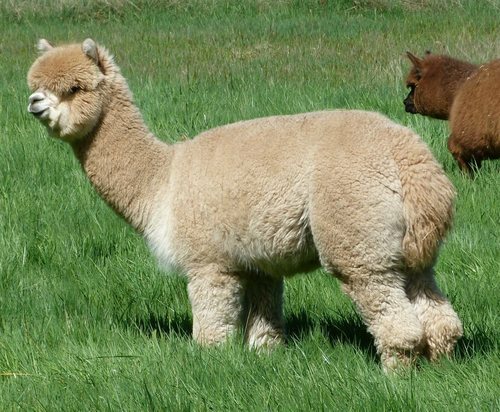 We offer him for sale reluctantly as we are very pleased with the cria that he has given us, but we now have several gorgeous offspring and need to consider genetic diversity in our herd. 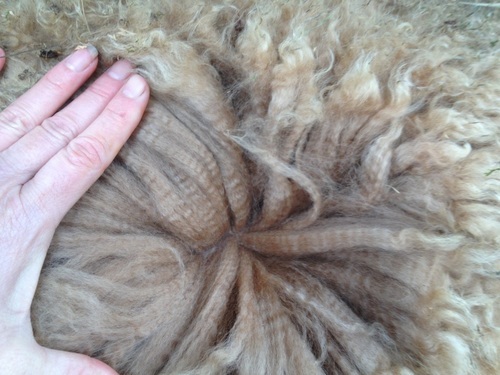 Do you want BEAUTIFUL, crimpy, bright and uniform fleece?? ?...RYDER has it! Do you want a refined and beautiful head?? ?...RYDER has it!! Do you want a strong history of color?? ?...RYDER has it!!! 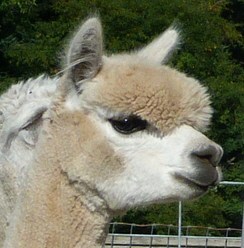 Sweet Mariska came to us as a maiden from Island Bliss Alpacas and we couldn't be happier to have her! 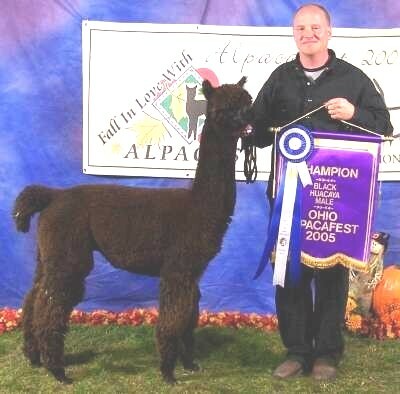 1x Champ, Black & gray genetics! We couldn't be happier with how this young lady is developing! 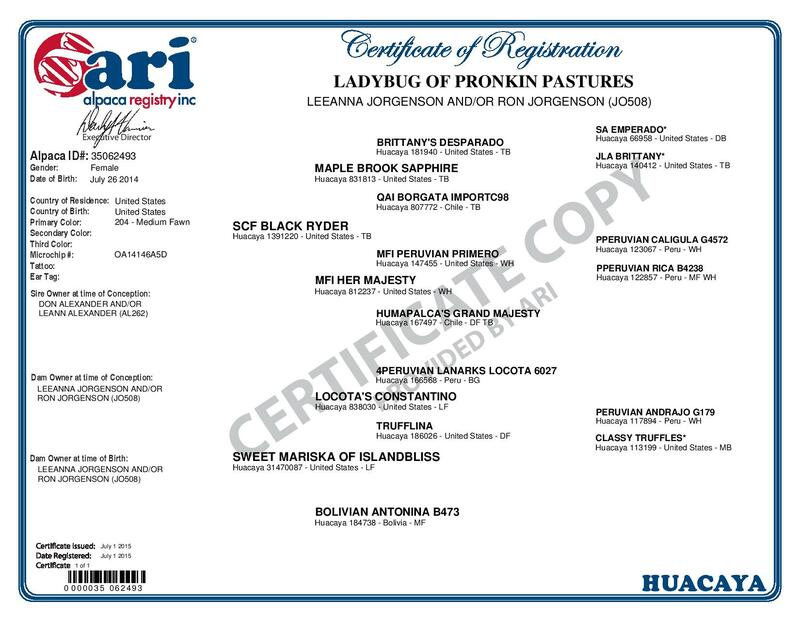 Daughter of our Sweet Mariska and SCF Black Ryder, LadyBug is a knock-out beauty! 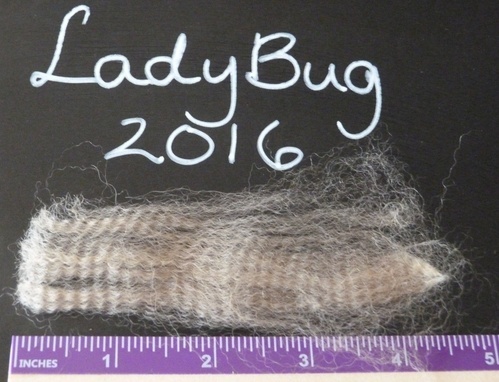 LadyBug has a gorgeous fawn fleece with hints of gray and black on her muzzle and black 'eyeliner' around her eyes. With plenty of color in her background, we expected that Lady would throw rich dark color - and she did! Lady delivered her first cria in Aug 2017 - an adorable medium brown male cria with lovely fleece. She had a trouble free delivery and is turning into a great and attentive first time mom. 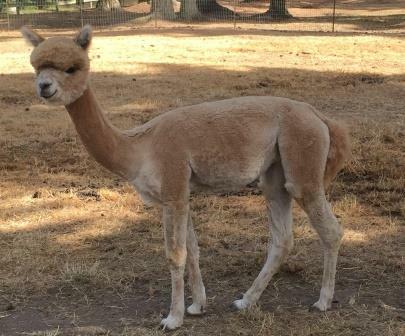 Lady has been bred to Zumbador's JR for a richly colored and fine fleeced cria in 2019.